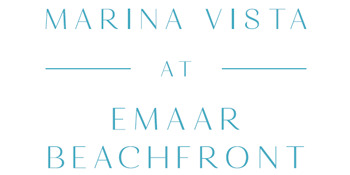 Marina Vista at Emaar Beachfront residents can live their seafront dream right at their doorstep. Each apartment has a visual connection to the water. Every detail embodies easygoing elegance, perfectly complementing the beachfront setting. Developed by Emaar Properties, Emaar Beachfront is an outstanding high – rise apartment development located in the waterfront community of Dubai Harbour. This residential Dubai off plan project offers world - class amenities and is a remarkable addition to Emaar’s host of luxury properties. Located in close proximity to Dubai Marina, Emaar Beachfront is conveniently situated at the 20 million sq.ft. development of Dubai Harbour. It is a waterfront development and is considered to be the next largest Marina in the Middle East. Emaar Beachfront is the latest project which provides luxurious apartment units as well as a 5-star hotel which will be managed by The Address Hotels and Resorts. Among the premium amenities to be enjoyed by its residents are fitness and health areas, leisure zones and a fine selection of gourmet restaurants. 1 Bedroom 651 Sq.ft. – 748 Sq.ft. 2 Bedroom 1,104 Sq.ft. – 1,215 Sq.ft. 3 Bedroom 1,537 Sq.ft.- 2,042 Sq.ft. 4 Bedroom 2,249 Sq.ft. – 2,450 Sq.ft. © 2019 Marina Vista , All rights reserved.